FORT WORTH — A police pursuit of a father and son led to an exchange of gunfire that killed one and wounded an officer. He asked that the citizens of Fort Worth continue to pray for the officer, who was identified Tuesday evening as Matt Pearce, an officer who has been with the department since 2009. Wednesday morning Pearce remained in critical condition but is stable after undergoing surgery. Mayor Betsy Price said Wednesday that he was alert and talking when he arrived at the hospital, which is a good sign. 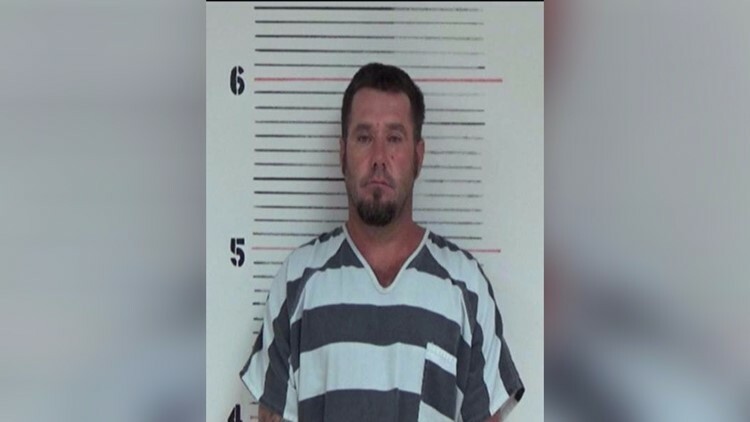 The pursuit began when a fugitive team attempted to pull over an SUV to serve "a stack of warrants" to 42-year-old Ed Russell McIver Sr. in the area of Interstate 30 in Parker County, said Cpl. Tracey Knight, a spokeswoman with Fort Worth police. McIver Sr. was wanted on two aggravated assault charges and two bail jumping warrants. Ed Russell McIver Sr. was fatally wounded in an exchange of gunfire with authorities in Fort Worth on March 15, 2016. She said while she could see her son firing the shot at the officer, she couldn't believe her 20-year-old grandson would. The team was waiting for marked uniform patrol assistance when McIver Sr. and his son, Ed Russell McIver Jr., fled in the SUV. A short police chase ensued and ended when the father and son bailed from the SUV after driving onto a gravel driveway that led to a home in the 2800 block of Longvue Avenue, just south of Camp Bowie Boulevard in far west Fort Worth. "They exited on foot and ran," Knight said. "The area is heavily wooded. There's a big hill and it drops down into a mud area." Knight said several officers pursued the suspects on foot. "When they entered ... that clearing area, shots rang out," she said. "And our officer was shot." Knight said officers returned fire, fatally wounding McIver Sr., who was pronounced dead at the scene. Officer Pearce was taken by CareFlite to John Peter Smith Hospital where he underwent surgery. McIver Jr. fled into a wooded area and a search ensued. "We believe we have him contained to a two-square mile radius area right here," Knight said early Tuesday night. The police spokeswoman said there were hundreds of officers, including local and federal, at the scene searching for McIver Jr. 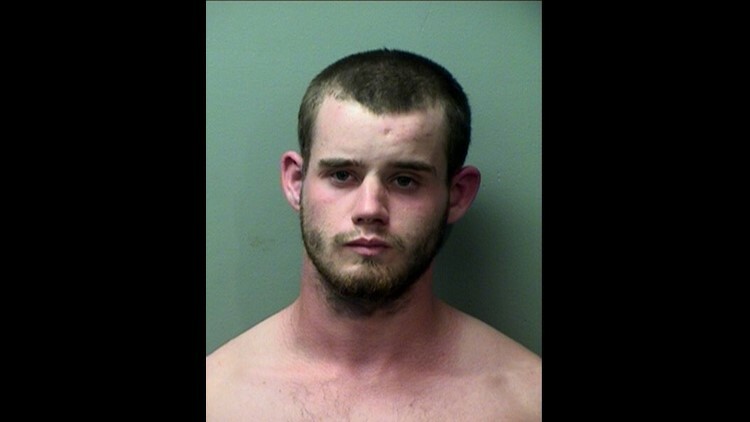 Authorities eventually found him hiding in an area of brush, and he was taken into custody at about 6:15 p.m. Police say he's charged with attempted capital murder, evading arrest and unlawful carrying of a weapon. He's been booked into the Mansfield jail with a bond set at over $2 million. Knight said one gun was found on the body of McIver Sr. While authorities were searching for McIver Jr., law enforcement officers began gathering near Howell Garner Road in Weatherford. Investigators rushed to the neighborhood to check out the home of the suspects. Neighbors say police were outside the home for nearly two hours as the search for McIver Jr. continued. Shortly after law enforcement guarding the home received word that McIver Jr. was located and arrested, they left the suspects’ home. Two men who identified themselves as the McIvers' relatives said they did not want to comment about the shooting and investigation. The older of the two began crying as he said the children just lost their father. The younger relative threatened to have his dogs attack if media returned. Linda McIver said she had been at her Weatherford home Tuesday when she got a phone call alerting her to turn on the news. She said it was through news coverage that she learned about the shooting of the Fort Worth shooting and her son and grandson’s possible involvement. “When that put my grandson’s picture up there, then we knew for sure,” McIver said. Linda McIver said her son had moved away from Weatherford four to six months ago, though she didn’t know to where, adding that the mother and son were somewhat estranged. “We just didn’t see eye to eye on a lot of things,” she said. Linda McIver said she used to have a good relationship with her son, a father of five who remained married but separated from his third wife. But after serving time in prison, Linda McIver said her son returned home a changed man. Tarrant County court records show the elder McIver had been sentenced to five years in prison on Sept. 9, 2003, on felony convictions for aggravated assault of a public servant with a deadly weapon and evading arrest with a vehicle out of Tarrant County. He had been accused of displaying a gun and fleeing from a North Richland Hills police officer that March. A few days after being sentenced to prison, he also also plead guilty to a misdemeanor charge of evading arrest for an encounter with Crowley police in October 2002 in exchange for a 120-day jail sentence. Linda McIver said she had last seen her grandson almost a month ago as he had been out of town working on a welding job. Mayor Price says there has been a huge outpouring of support from the Fort Worth community, and the police department asked for prayers for its officer. A GoFundMe page has been set up for the officer's family. Two weeks ago, also on a Tuesday, Euless Officer David Hofer was fatally wounded after responding to a call of shots fired at J.A. Carr Park. The shooter was later identified as 22-year-old Jorge Brian Gonzalez, who had been released from jail just four hours earlier. Gonzalez was killed by police. Our content partners at the Star-Telegram contributed to this story. Click here to read their full report.